CMC has now released what is probably the most significant version of its outstanding 1:18 replica of the 1956 Ferrari D50. It is certainly the one with the most interesting story behind it. It is the #26 car from the 1956 Italian Grand Prix, scene of the world championship showdown between Ferrari team-mates Juan Manuel Fangio and Peter Collins. 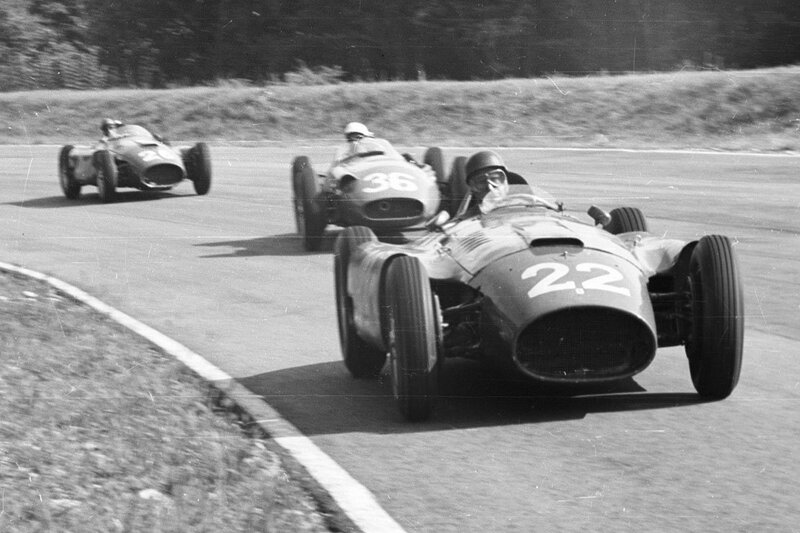 Fangio took the pole from Collins but, as was often the case, he made a slow start. He swiftly moved his way back into contention, but on lap 31 he had to bring his D50 in for a minor repair. The decision was then taken to send Collins out in Fangio’s car, while the Argentinian would take over team-mate Luigi Musso’s steed. But Musso ignored the team’s order and stayed out on circuit, leaving Fangio without a car. It was now that one of the most extraordinary and selfless acts of motor racing history took place. Collins voluntarily decided to pass his car over to Fangio, in an act of deference to his elder team colleague. It was perhaps in Collins’ mind that, as a young man, other opportunities to become world champion would doubtless come his way. But it was not to be, as he died just two years later in an accident at the Nurburgring during the German Grand Prix. And thus, with a second place finish behind Stirling Moss, Fangio took the fourth of his five world titles. CMC’s replica is everything that you would expect from the legendary model-maker. Made from 1,379 separate parts, it of course comes with detachable bodywork, so that you can gaze in awe at the intricately detailed V8 engine, complete with all the correct pipes and cabling. You can also open the ventilation lid above the driver’s footwell, along with the fuel and oil filler caps. The driver’s seat and headrest are upholstered in real leather, while the transverse leaf spring suspension has also been recreated perfectly. This model is limited to just 1,000 pieces worldwide, with a much smaller number than that making it to these shores. We have just eight pieces unaccounted for after fulfilling our customer pre-orders, and then it will be gone forever.